Mascot Books is thrilled to announce the second annual “Author of the Year” Award. This year, we’ve published over 100 books—children’s picture books, to early-chapter and young adult titles, to cookbooks and current event titles— from authors around the world. As we celebrate our 10th anniversary, we’re looking forward to working on more great publishing projects. The Mascot Books Author of the Year award was established to recognize an author who shows dedication to producing the highest quality content, a passion for the craft of writing, a commitment to entertaining and educating readers through literature, and the ability to convey a positive message. Above all, we wanted to recognize an important member of the Mascot Books Family. 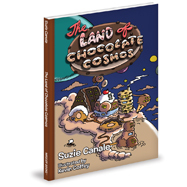 Suzie grew up in Andover, Massachusetts, and is a graduate of Salem State College. 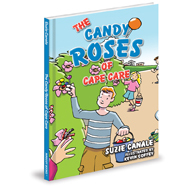 She began writing children’s book after a twenty-five-year career in the wholesale floral industry in Boston where she was inspired by flowers named after child-friendly foods. She developed the concept of The Beantown Tales, a series of books geared towards educating children to make positive changes within the key concerns of our society. 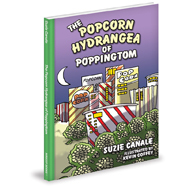 Suzie’s books are the recipient of the Green Book of 2011 by the Massachusetts Green Schools Organization as well as three Honorable Mentions in the 2011 New England Book Festival (The Land of Chocolate Cosmos), 2012 New York Book Festival (The Candy Roses of Cape Care) and the 2012 Hollywood Book Festival (The Popcorn Hydrangea of Poppingtom). Suzie recently added an E-book, Walking Down the Cobblestone Aisles of Boston to her list of publications and is a member of both the Massachusetts Poetry Society and the New England Poetry Club. As she continues her career by writing books, articles, and blogs for online websites, magazines, and local businesses, she is also busy and volunteering for the Mass Bay American Red Cross as well as heading her new not-for-profit organization, The Women’s Locker Room Foundation. She currently resides in Chestnut Hill, Massachusetts, with her husband, Rick, and their two sons, Ryan and Lance.